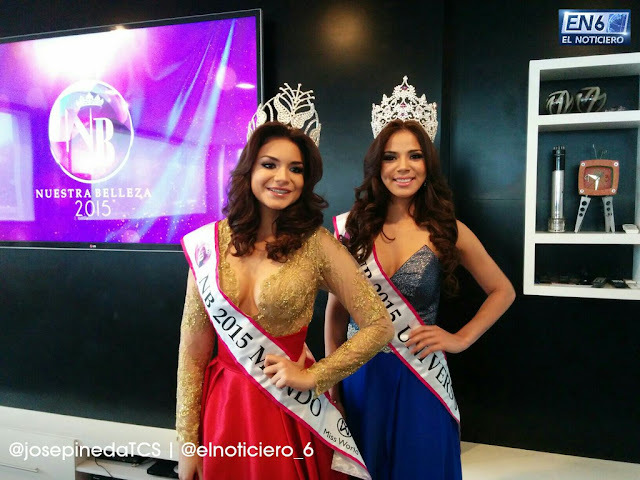 Meet the representatives of El Salvador for Miss World and Miss Universe 2015. Miss World El Salvador 2015 is Marcela Santamaria. She is 24 years old and stands 1.72m tall. Miss Universe El Salvador is 21 year old Idubina Rivas. She stands 1.75m tall. Both will probably clap, but World might just clap a bit harder.